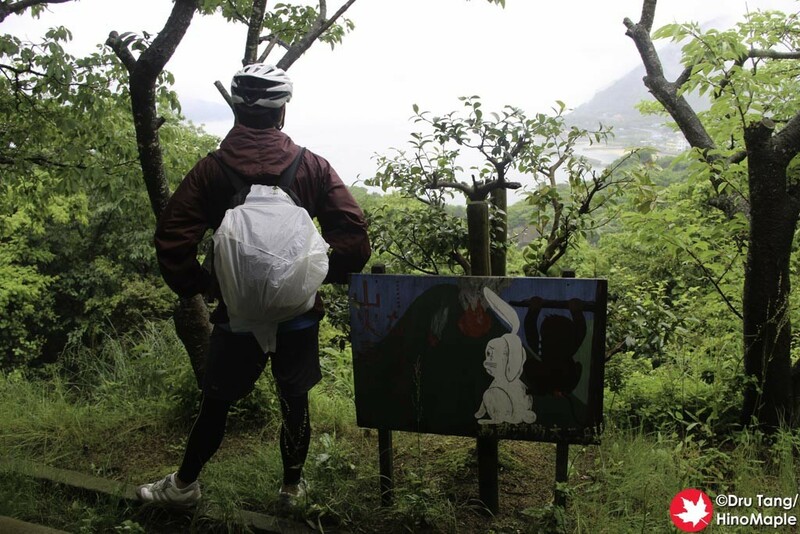 The Hanaguriseto is a nice little lookout just past the Omishima Bridge on Omishima. It is pretty easy to access but if you don’t know what to look for, it looks more alike a little driveway to someone’s house. As you approach the Omishima Bridge, you have to go past the main entrance for about 100 meters, probably less, and the entrance is right there. If you are coming from the bridge, once you pass the washrooms, go straight (or turn right depending on your perspective) and you will see the entrance on your left. Getting from the street to the Hanaguriseto Lookout is not very easy. It looks pretty simple but after a small bend in the road it suddenly shoots up. The hill is pretty difficult and I ended up pushing my bicycle up the hill. 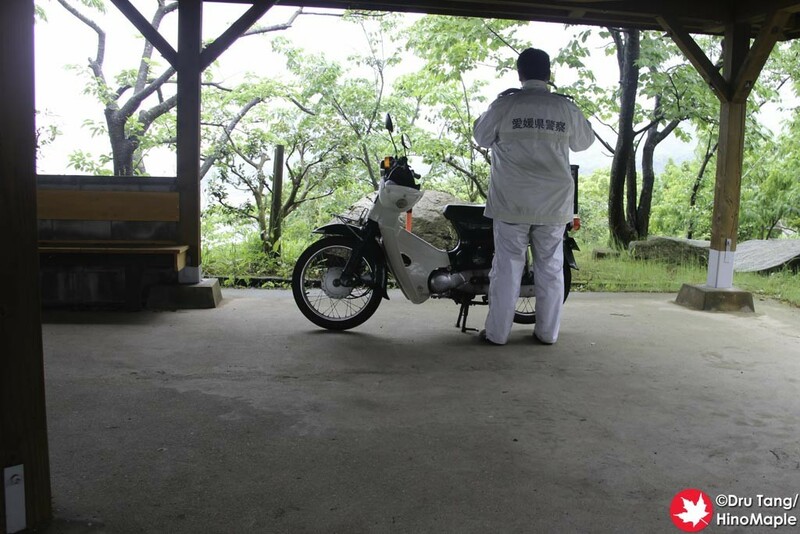 When I got to the lookout, I noticed a white scooter there and what looked like an old man. He appeared to be a regular construction worker until I got a little closer. I noticed his blue vest which meant he was a police officer; his badge also gave it away. I was slightly nervous he might question why I was there but shrugged it off. We did chat a little and he did wish us luck on our journey, and I did for him too. Well, I wished him safe travels as he is a cop and he was on a scooter on wet roads; it was raining in the morning and the shadows still had wet patches. The lookout itself was not as impressive as I had hoped. I think that during the cherry blossom season it would be a lot more beautiful. The lush green trees were nice and it is a very nice place for a break if you need it. The view of the bridge was slightly obscured by the trees making it hard to get a good picture. 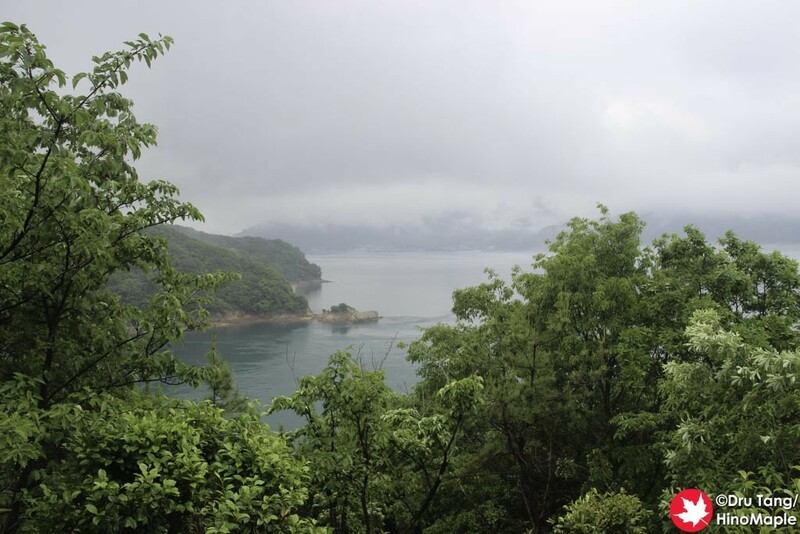 The view away from the bridge was actually better but after seeing most of the Seto Inland Sea for the trip, the view just looked similar to what I had seen before. The lookout may not be worth it for someone with only a little time on their hands. Even though we didn’t have a lot of time there, I’m still happy that I went to the lookout as it was nearly deserted and I could get a good photo of the bridge. 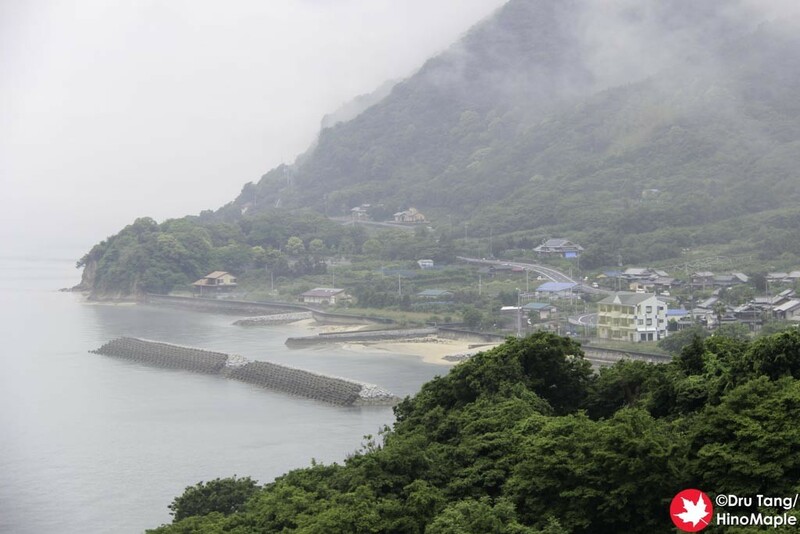 There really aren’t many good areas to see the Omishima Bridge and while the view wasn’t excellent, it was good enough. 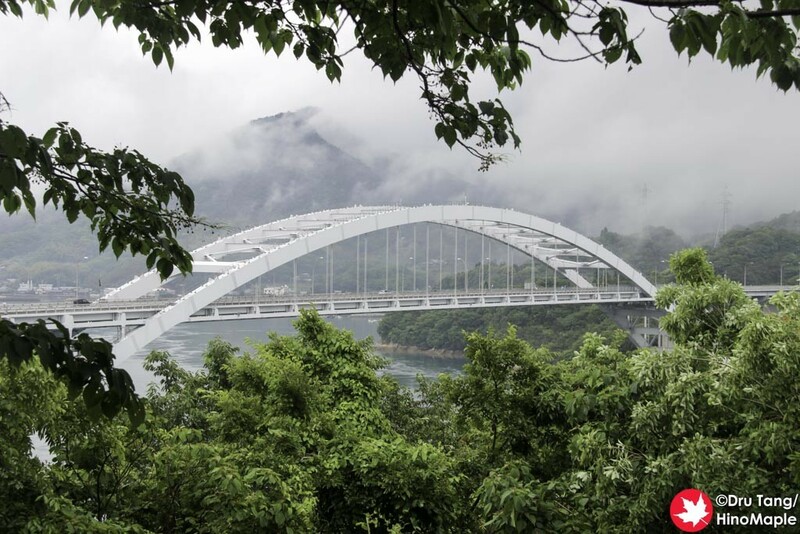 This entry was posted in Shikoku and tagged Hakatajima, Hanaguriseto, japan, Omishima, Omishima Bridge, Seto Inland Sea, Shimanami Kaido, Shimanamikaido by Dru. Bookmark the permalink.